Jennifer Niehaus of Cloverdale, CA, edged out a field of 36 riders to win the CEI*** 100-mile endurance event held in Oreana, Idaho, on Saturday, May 20. Riding her nominated horse Cheyenne XII, Niehaus finished in a ride time of 9:49:39, averaging 16.31 kph (10.14 mph) over the course. Crossing the finish line with Niehaus was Suzanne Hedgecock aboard AA Montego, who posted a ride time one second slower than Niehaus?s. Hedgecock also hopes to earn a place on the U.S. Endurance Team to compete at the 2006 FEI World Equestrian Games in Aachen, Germany this August. World Games 2010 Foundation, Inc.
(Lexington, KY) ? John P. (Jack) Kelly has been hired as the Chief Executive Officer of the World Games 2010 Foundation, Inc., the entity in charge of putting on the 2010 FEI GamesTM in Kentucky, the world equestrian championships. Kelly, 60, currently is both the secretary-general of USA Baseball and the CEO of the Space City Sports Commission in Houston. ?I?m very enthusiastic about again having the opportunity to lead a major international sporting event, particularly one like the 2010 FEI GamesTM in Kentucky where so much infrastructure, excitement and support for the event already exists,? said Jack Kelly. ?When the FEI awarded the Games to the Kentucky bid team, they did so with high expectations. I?m confident that we can meet and exceed these expectations and bring great credit to Kentucky.? Kelly is also the founder and CEO of Event Partners, Inc., a broad-based sports consulting and event management and advisory company. Since 1995, the company has worked with more than 100 clients on all aspects of major event bidding, site selection, planning, operations, marketing, funding and management. ?I think Jack is the perfect fit for what the 2010 FEI GamesTM need,? said World Games 2010 Foundation Chairman Jim Host. ?With the equine expertise that we have in the United States Equestrian Federation and the Kentucky Horse Park, the political backing of both the city of Lexington and the state of Kentucky and the talents of all of our foundation members, Jack?s talents will help make these games a complete success.? In addition, Kelly served from 1990 ? 1996 as both the president of Turner Broadcasting?s Goodwill Games, Inc., and the director of all Turner international sports efforts, overseeing all aspects of the $100 million-plus enterprise, including managing all national and city relationships, conducting television negotiations, maximizing television syndication as well as creating a worldwide merchandising and licensing program. Through Event Partners, Kelly also has served such clients as the Olympic bid and major event efforts of multiple U.S. and international cities and countries, the U.S. Olympic Committee, the 1996 Paralympic Games, 14 U.S. national sports governing bodies, Disney?s Wide World of Sports, five U.S. states and more than 100 municipal clients. From 2000 ? 2002, Jack also served as the CEO of the Bowling Proprietors Association of America (BPAA), the national trade group for the business of bowling ? a period of time which saw the BPAA reach record levels of membership, sponsorship/fundraising and trade show participation. Prior to his sports management roles, Kelly spent 16 years as a successful corporate executive serving as an officer of two Top 50 U.S. corporations (Tenneco Inc. and the American General Corporation). He has also served as a president of two separate U.S. Olympic Festivals in Houston (1986) and Minneapolis-St. Paul (1990). In addition, he was the co-chair of the U.S. Olympic Committee?s International Games Review Committee, a member of the 1994 World Cup Site Selection Committee and several USOC site selection committees. ?It is very exciting to think about not only representing the State of Kentucky with this event but also the United States,? said Kelly. ?It is important for our national standing in the international sports and sports business community for the U.S. to successfully host major events like the 2010 FEI GamesTM and we will be up to the challenge.? Kelly?s complete resume is available upon request. A photo is attached. The FEI Games, known as the World Equestrian Games through 2006, are the world championships of the eight equestrian disciplines recognized by the Fédération Equestre Internationale (FEI), and are held every four years. The FEI Games have never been held outside of Europe nor have they ever all been held together at a single site; both firsts that the Kentucky Horse Park will achieve. The 2006 FEI World Equestrian Games will be held in Aachen, Germany and run from August 20 to September 3. Approximately 800 athletes and 875 horses are expected to compete there. The 2010 FEI GamesTM in Kentucky is expected to sell more than 500,000 tickets and have an economic impact of more than $150 million. The World Games 2010 Foundation, Inc., is a 501(c)(3) non-profit corporation established to oversee the production of the 2010 FEI Games? in Kentucky, The World Equestrian Championships. The 2010 FEI Games? in Kentucky will be held at the Kentucky Horse Park in Lexington from September 20 ? October 3, and will consist of the eight equine disciplines recognized by the Fédération Equestre Internationale (FEI), the international governing body of all equestrian sport: show jumping, dressage, eventing, driving, reining, vaulting, endurance, and para-equestrian. With the 2006 World Equestrian Games just three months away, the top endurance riders in the U.S. are preparing to demonstrate their abilities in the hopes of earning a place on the U.S. Endurance Team. In order to be considered, each rider must compete at one of three FEI***/AERC dual-sanctioned 100-mile rides scheduled for May 20 in Oreana, ID; May 27 in Grand Island, MI; and June 11 in Ashland, MT. Members of the National Selection Committee will be present at each event to evaluate the competitors? performances. According to United States Equestrian Federation®?s Director of Endurance Programs, Mary Lutz, there are approximately 49 riders scheduled to compete at one of the three observation trials, including members of the current National Training Squad and former World Endurance Champion Valerie Kanavy and former Pan American Endurance Champion Heather Reynolds. Riders who have been nominated on more than one horse must compete at one observation ride with each horse. Chef d? Equipe Tom Johnson of Loomis, CA, said the he doesn?t expect the nominated horses to be ?peaked? for the observation trials, but should still be building up toward the World Equestrian Games. ?I expect the successful riders to ride strong and smart, and to finish within a reasonable distance of the winning horse but not necessarily win,? Johnson said. ?The top horses will make it look easy by finishing strong and looking good while doing it.? Following the final observation trial, the National Team of 12 horse/rider combinations plus six ranked alternates will be selected by the National Selection Committee. ?Those riders will then attend one of two training events,? said Johnson. ?Locations of the events will be selected based on their location in order to minimize how far they have to haul. Riders will complete a test ride of 30 to 50 miles.? The final team will be selected based on several factors, which include but are not limited to the horse?s fitness and soundness and the rider?s ability to ride to instructions. Johnson added, ?The goal of the selection process is to finish strong in Aachen. The observation trials are a step in that direction.? The team of riders selected to represent the United States in the endurance competition at the World Equestrian Games will be named by mid-July and will depart for Aachen, Germany, the first week of August. The 100-mile world endurance championship will be held August 21. The United States Equestrian Federation® is the Governing Body of U.S. endurance competition at the international level. The American Endurance Ride Conference is the National Affiliate of endurance in the U.S. and governs the sport at the national level. For more information about the U.S. Endurance Team and the 2006 selection process, contact USEF Director of Endurance Programs Mary Lutz at mlutz@usef.org, or by phone at (908) 326-1155. 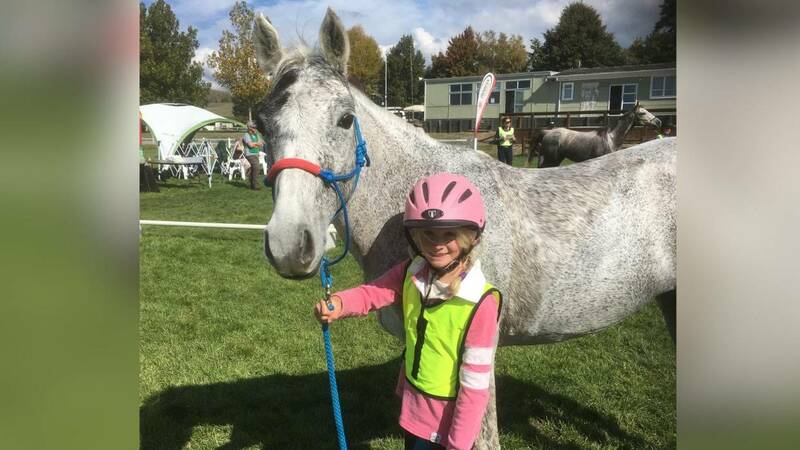 Riders at the Edaran Endurance Classic 2006 braved the pelting rain and the cold as they took off on the FEI-CEI 3 Star 120 KM and the 80KM Rides which started at 10pm and 12 midnight respectively on 6 May and finished yesterday morning at ar-Raudhah Equine Centre. Shamsudin who was the only rider out of 11 participants to complete the challenging and tough CEI 3 Star 120KM ride, finished with a total riding time of 10 hours 56 minutes 24 seconds at an average speed of 10.98KM/hr. Kuala Lumpur, MY, May 1, 2006 ? 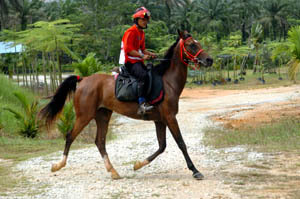 Some 95 member nations congregated in the Malaysian capital Kuala Lumpur to attend the 2006 General Assembly of the International Equestrian Federation. A number of others were represented by proxy. This is the highest number of National Federations to ever participate, and 82 out of 138 voted to elect HRH Princess Haya of Jordan to succeed HRH Doña Pilar de Borbón as the new President of the FEI. She?s the 13th president and the third woman to take over the reins, beating out a determined challenge from FEI First Vice President Freddy Serpieri who conceded with 52 votes following the second ballot. HRH Princess Benedikte of Denmark was eliminated somewhat surprisingly after the first ballot having received just 16 votes. Following 12 years in office, HRH The Infanta Doña Pilar de Borbón decided to step down and new candidates were required to make themselves known to the FEI by last November. As Princess Haya later commented: ?There were many people who thought I was too young for the job, but I think I?ve aged five years in the past five months!? As per the FEI Statutes, in order to be elected a Presidential candidate must receive two thirds of the valid votes cast in the first or second (secret) ballot. If a third ballot is necessary the candidate must receive an overall majority (50% plus one) of all valid votes cast. Each of the three candidates for President of the FEI were invited to make a presentation to the General Assembly by way of a manifesto, highlighting their personal achievements to date, personal strengths and, perhaps most importantly for the voting members, their goals if elected. Mr. Freddy Serpierie has been Chairman of Geographical Group I and first FEI Vice President since 1997. Greek national champion in jumping at junior and senior level, he won the Balkan Championship in 1973. Greatly involved with sports administration, he was elected President of the first riding club in Greece as well as the Hellenic Equestrian Federation at is foundation in 1990. He remained in this position for 11 years. He chaired the Organizing Committee of the 1994 European Junior Jumping Championship and of CSIO-W Athens for eight years. Mr. Serpieri presided over the International Olympic Academy, the education branch of the International Olympic Committee with its headquarters in Ancient Olympia for four years. He participates in the administration of other sports, such as athletics, yachting and modern pentathlon. From 2000 to 2004 he was second Vice President of the Hellenic Olympic Committee and is still an NOC member. HRH Princess Haya Bint Al Hussein of Jordan is the daughter of the late King Hussein of Jordan and wife of HH General Sheik Mohammed Bin Rashin Al Matoum, Crown Prince of Dubai. She has been riding internationally since the age of 13. In 1992 she won the individual bronze show jumping medal at the seventh Pan Arab Games, and the following year was elected Jordan?s ?Athlete of the Year?. Following several years of intense training in Germany and Ireland she qualified for and participated in the Sydney 2000 Olympic Games and also the 2002 World Equestrian Games in Jerez de la Frontera. HRH Princess Haya is member of the IOC Athletes and Culture and Olympic Education Commissions and President and founder of the International Jordanian Athletes Cultural Association. She is the first Arab and first woman to ever become a Goodwill Ambassador for the United Nations World Food Program. HRH Princess Benedikte is the younger sister of HM Queen Margarethe II of Denmark. She is the current patron of the World Breeding Federation for Sport Horses, which provides a key link between the breeders and international equestrian sport. A knowledgeable breeder herself, she has bred two approved stallions for Dansk Varmblod (Danish Warmblood). Her daughter Nathalie zu Sayn-Wittgenstein-Berleberg is an international dressage rider and a member of the Danish National Equestrian Team with a horse bred by HRH Princess Benedikte. The presentation of Freddy Serpieri focused on leading through experience, highlighting his years as Vice President and the first-hand knowledge of the FEI that this carries. He affirmed his commitment to a modernization process and promised to provide a solution to the restrictions imposed on the global movement of horses. During a period of transition he envisioned, Mr. Serpieri commented that his experience and knowledge of the FEI would be invaluable. He said his candidacy was motivated by his love for equestrian sport and proposed that his nomination be endorsed for the forthcoming four years, after which he planned to retire. HRH Highness Princess Haya began by saying that the motto of her candidacy was that ?Strength Comes Through Unity?. She continued by saying that her presentation was the result of a comprehensive study of the FEI compared to other sporting bodies and said that there was no reason why the FEI should not be able to reap the rewards that other federations enjoy. Princess Haya said that she had considered each of the top 10 sports in the world in the past 10 years, where did equestrian sport rank and what had made the other federations so successful. There was no doubt, according to Princess Haya?s conclusions, that equestrian sport lags behind the rest of the world, although she felt that success could be achieved in a relatively short time. But how does sport become a business without destroying the inherent traditions? Taking a strategic rather than a tactical view avoided vagaries and she provided six self-imposed targets based on what she felt were the six pillars that supported the FEI: governance, the National Federations, development, welfare, communications and the IOC. All pillars should be viewed with equal importance and must represent the interests of each and every National Federation. With regard to FEI governance, Princess Haya felt that the essential centerpiece was the modernization process, and while protecting the future, stagnation was the greatest enemy. She insisted that the National Federations must embrace modernization and the perspective that the FEI staff work from an ivory tower should be obliterated. National Federations: There should be open and transparent debate on issues that affect us all. The reason for courses of action must be communicated so the thought and dialogue processes would be comprehensible to all the National Federations. She also pledged that she would secure sponsorship for a global IT system that would connect all the National Federations during the coming 12 months. Stating that development involved equal access while achievement and real action required more funds, Princess Haya again pledged to raise ?a great deal of money for this pillar in order to develop the universality? of equestrian sport. The welfare issue is unique in equestrian sport and Princess Haya reiterated that the FEI required tighter anti-doping rules in order to silence the cynics and increase public endorsement of our sport. ?The rules must be tough but fair.? Transportation and the problems of quarantine also need to be addressed. Communication perhaps requires the greatest change because ?sponsors and TV are not queuing up!? Princess Haya once again pledged to raise considerable funds to create a ?long-lasting legacy for horse sport? in the wake of success already achieved by Doña Pilar during her presidency. On the question of the IOC, Princess Haya commented on her deep-rooted involvement with various committees and their ideological goals from which the Olympic movement will grow. She quoted IOC President Jacques Rogge by saying ?the horse is the only amateur left in the Olympic Games.? With regard to the existing Olympic disciplines, Princess Haya categorically denied any rumours that eventing would be sacrificed for the sake of any alternative (i.e. the endurance sport so enjoyed at world-class level by her husband). She also stated that the IOC had supported her candidacy unequivocally. In conclusion she promised that she would raise 10 million Swiss francs by next year?s FEI General Assembly and would have the equestrian disciplines raised from a Category C to a Category B sport by 2012. ?I have never promised anything I can?t deliver and plan to lead by personal example.? HRH Princess Benedikte?s presentation revolved around a four-step program with the goal of achieving greater transparency and accountability. ?I believe I can bring a fresh and external perspective to the role. Sometimes in any organization one needs to take a deep breath and to look at a situation with a new pair of eyes. Now is that time.? A rather pregnant pause was followed by an obvious reference to Princess Haya?s youth. ?In time of course we will need a new and younger generation to take over. But we cannot run before we can walk.? Having prior knowledge of the other candidates manifestos, Princess Benedikte pointedly referred to the old (Freddy Serpieri) and the young (Princess Haya) and said she would satisfactorily bridge that gap with more business thinking and focus less on monetary issues. ?I have heard a lot about money and less about equestrian sport. I have to say that money alone is not the solution for our sport at this time. Over many years as an international fundraiser I know that nothing comes for free. But, as a responsible President of an international federation I could never allow our sport to be sold-out for promises of money! [?] So, where would I like equestrian sport to be in five years time? I would like it to be acknowledged as a sport that is strong, growing and developing under the guidance of not the biggest and richest ­but the smartest international federation. A federation which you and I can feel proud of.? Despite her extremely articulate presentation and strong arguments for positive change, it was obvious after the first vote that her message did not strike many chords among the FEI federations. Princess Haya appeared jubilant when Freddy Serpieri conceded following the second ballot and in her acceptance speech said ?I promise to do everything in my power and to work tirelessly to serve the institution and the people who have done me the honor of placing their trust and believe in me. Our beautiful, noble sport is seeped in tradition, history and grace, and I will do all I can to protect and advance it, in all its forms.? In terms of the plan to raise the promised 10 million Swiss francs over the coming 12 months Princess Haya said; ?The strategy is to find supporters and sponsors of the FEI, and working very closely with the Commercial Department to make that happen.? Obviously, a great many people will be watching very closely in the coming months to see how the 32-year-old Princess will respond to the pressures and demands of revitalizing a federation that has had more than its fair share of crises over the past decade. Around 350 delegates representing the National Federations affiliated to the FEI, riders, event organizers, the International League for the Protection of Horses (ILPH), the Beijing Organizing Committee for the Olympic Games (BOCOG), the 2006 Asian Games and 2007 Pan American Games, equestrian media and sponsors convened at the Sunway Lagoon Hotel. It is the first time that an FEI convention of this scope was held in South East Asia. PhelpsSports.Com Is Coming In August!! Look for the debut of PhelpsSports.com in late August. PhelpsSports.com, a new and highly innovative subscription equestrian sports website, will offer equestrians and fans of equestrian sports from around the world, a single web address for the latest breaking news of the Hunter, Jumper, Dressage, Eventing and other High Performance disciplines. The website will include up to the minute audio reports, live video interviews and unique features from around the globe, photography, and the creative writing and reporting of some of the finest equestrian journalists in the world. This report from Jean Llewellyn at the 2006 World Cup Finals in Malaysia is another preview provided by PhelpsSports.com. Look for the debut of this brand new, dynamic and exciting equestrian news website during the World Equestrian Games in August. PhelpsSports.com is going to change the standard of equestrian sports coverage on the Internet and will be your best source for up to the minute video, unique and personal audio interviews and late breaking news of the High Performance disciplines. Stay tuned! Manama, May. 4, (BNA) His Majesty King Hamad bin Isa Al Khalifa, watched today concluding race of the Endurance Horse Racing Championship season which covered a distance of 100 Kilometers and in which a number of Bahraini and GCC riders took part. On his arrival, HM the King was received by the President of the Bahrain Royal Equestrian and Endurance Federation (BREEF), Shaikh Nasser bin Hamad Al Khalifa, First Deputy President of BREEF, Shaikh Khalid bin Hamad Al Khalifa, Endurance Committee Head, Shaikh Faisal bin Rashid Al Khalifa and a number of organizing committee heads. HM the King met participating riders in the championship whom expressed their thanks and appreciation for HM the King's patronage and his care and support for Bahraini riders and the sport in the Kingdom of Bahrain. Then HM the King watched part of the race which was flagged off by Shaikh Khalid bin Hamad Al Khalifa. On this occasion, HM the King congratulated Shaikh Nasser on winning the race and congratulated all the riders in the championship. He also expressed his appreciation for the efforts exerted by Shaikh Nasser and Shaikh Khalid along with the organizing committee members in managing the championship successfully and providing the participants with all the necessary requirements. HM the King hailed the international achievements in the Junior and Youth World Endurance Championship which reflects the competence of Bahrain riders in all events, wishing them further success. Shaikh Nasser won the season finale, Mohammed Ali from Ahmed Al Fateh stable came second and Shaikh Mohammed bin Nawaf Al Thani from Qatar came third. At the conclusion of the race Shaikh Khalid and Shaikh Faisal presented the winners with their trophies. KUWAITI rider Dalal Al Jari confirmed her participation in the final endurance race of the season, organised by the Bahrain Royal Equestrian and Endurance Federation (Breef) on Wednesday midnight at the Bahrain International Endurance Village in Sakhir. Al Jari, who is the only Kuwaiti female in the fray, said she is delighted to take part in Bahrain endurance races for the second time after competing in a race last season. The event is over 100 kms and divided into four stages with riders from the UAE, Qatar, Saudi Arabia, Oman, Kuwait and Bahrain taking part. The first two stages covers 30 kms each, third stage 25 kms and fourth 15 kms. Al Jari, who owns a stable after her name, said one of the reasons why she decided to come to Bahrain and participate was to gain more experience competing against top GCC riders. "I am glad to hear the news of endurance races being organised in Bahrain. I wanted to come here earlier this season to compete in previous races but because of some academic commitments I could not make it," said the 19 year-old Kuwaiti. "I am so grateful for the Bahrain Royal Equestrian and Endurance Federation under its president Shaikh Nasser bin Hamad Al Khalifa for the great hospitality and kindness to me and other GCC delegations," Al Jari said. Meanwhile, the Royal Endurance Team, captained by Shaikh Nasser bin Hamad Al Khalifa, continued preparations for the race with intensive training sessions at their stable in Zallaq area. The team include top class veteran riders, including Yousef Taher and Abdulhaq Qadoori. The organisers approved the technical team which will supervise the championship. The team is headed by Vijay Murthy of India and includes Bahrain's Abdulsamad Al Mousta, Mohammed Dadulla, Ali Ghuloom and Mahmood Abdulsaheb. The veterinary committee was also formed and includes veterinarians from Belgium, Saudi Arabia, India and Bahrain. The Bahraini veterinarians are Dr Abbas Al Haiki, Dr Ebrahim Yousef, Dr Adam Sabeel, Abdulrahman Abulshook, Dr Farida Abdulrazzaq, Dr Sabah Al Ka'abi and Dr Yousef Ebrahim.